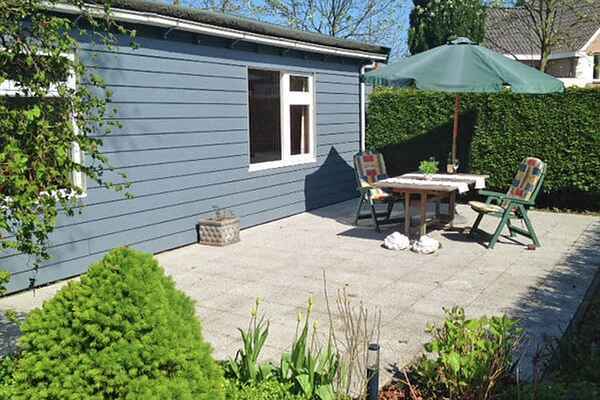 This cozy holiday home sits quietly on the outskirts of Burgh Haamstede, just a two minute walk from the city centre and five minutes from the beach. The house is located on the owner's premises, at the rear. It is completely detached and adjacent to the vegetable garden and chicken coop, which you may also enjoy. The house is hidden behind lots of greenery. In front there's a terrace, separated by many plants. The holiday home features all modern amenities. In short, a cozy house with modern comfort. Nice outdoor living with children. At the front there's a lot of playing space on the street side. It's peacefully situated, yet close to everything. The house is ideally suited for a family vacation. During a stay in this cozy holiday home, you can enjoy numerous activities and sights in the area. There's a lovely playground at just two kilometers. The beautiful sandy beach of Westerschouwen is about a kilometer away. Another idea for a family outing is a visit to the 'Deltapark Neeltje Jans'. This is about twenty kilometers away.